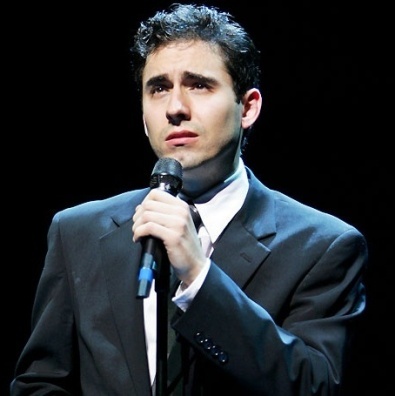 Tony winner John Lloyd Young once again will return to the role of Frankie Valli in Broadway’s Jersey Boys on January 11, 2013 for a limited engagement. This marks Young’s third engagement as Valli. He originated the role in 2005, and returned to the musical for a three-month run on Broadway this summer July 3 through Sept. 30. He will replace Jarrod Spector, who exits the production on December 30. Till the time John Lloyd Young joins the cast, the role will be played by Dominic Scaglione Jr. for performances from December 31 through January 10. Jersey Boys musical is based on the life story of Frankie Valli and The Four Seasons, and chronicles the lives of a group of blue-collar boys from the wrong side of the tracks who became one of the biggest American pop music sensations of all time. Cast also includes Matt Bogart as Nick Massi, Drew Gehling as Bob Gaudio and Jeremy Kushnier as Tommy DeVito. The cast also features Peter Gregus, Mark Lotito, Miles Aubrey, Jared Bradshaw, Cara Cooper, Ken Dow, John Edwards, Russell Fischer, Kristofer McNeeley, Katie O’Toole, Joe Payne, Jessica Rush, Dominic Scaglione Jr., Nathan Scherich, Sara Schmidt and Taylor Sternberg. Buy Jersey Boys New York NY Tickets in advance to watch your favorite Jersey Boy John Lloyd Young Live! SAVE $10 when you spend $350+ on Jersey Boys Virginia/August Wilson Theatre Tickets, Use code AFF$10 at Checkout!